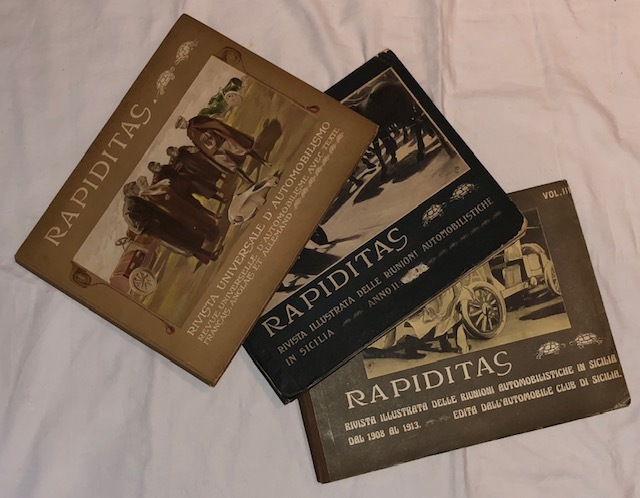 1906-1913 Rapiditas Volumes 1, 2 & 3. 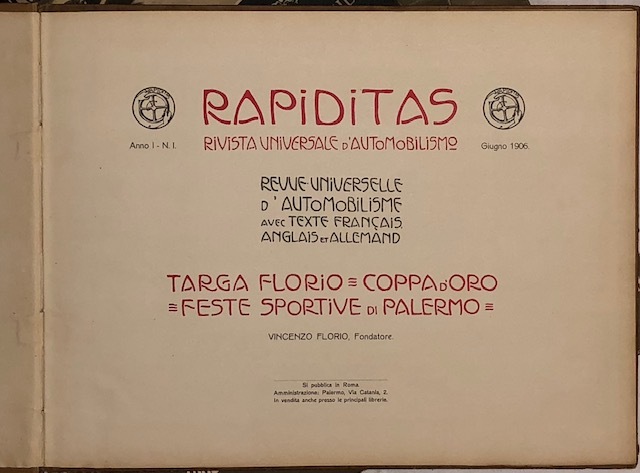 This is the official yearbook of the Targa Florio written by Vincenzo Florio. 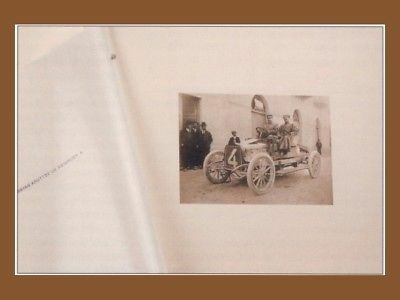 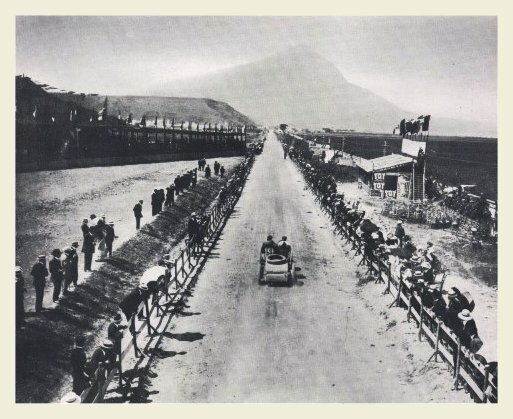 These super rare books include collected reports, results, classifications and images of the Targa Florio from 1906- 1930. 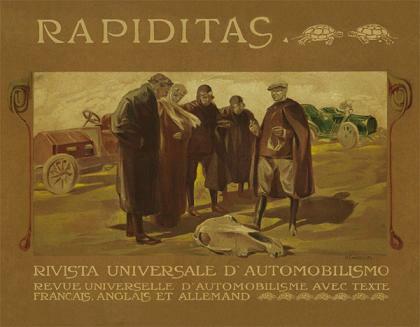 -The first volume was published as a multi-lingual edition in Italian, French, English & German in June, 1906. 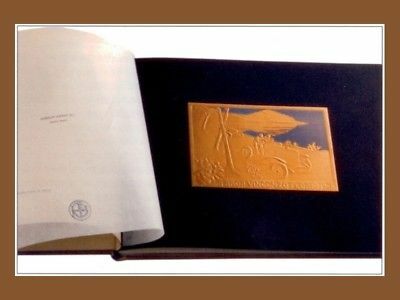 This book is in great overall condition – the covers are very good and the interior is excellent. 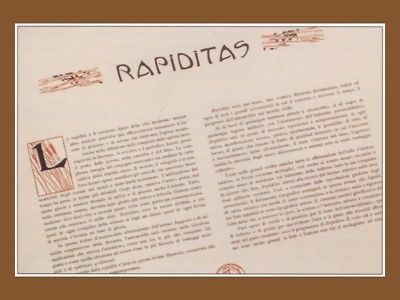 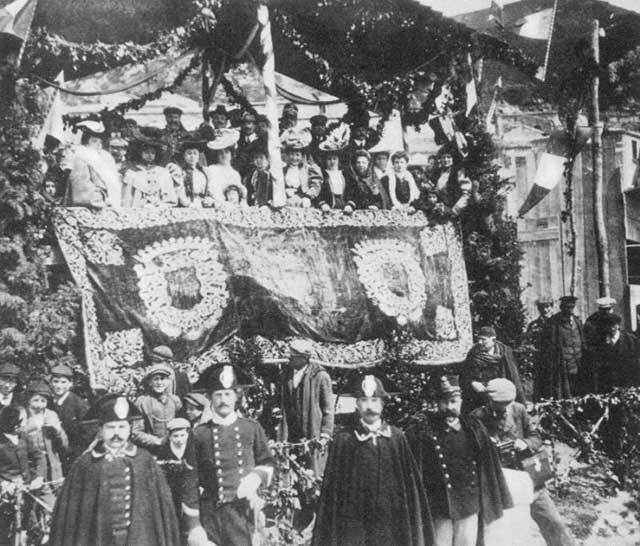 -The second volume was published in 1907 in Italian only. 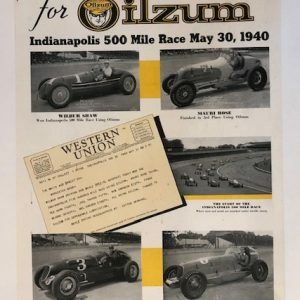 This book is in very good overall condition – the covers are good but with some corner wear and one ‘scrape’, and the interior is excellent. 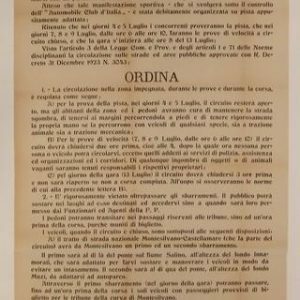 -The third volume was also published in Italian only, on Dec.20, 1913. 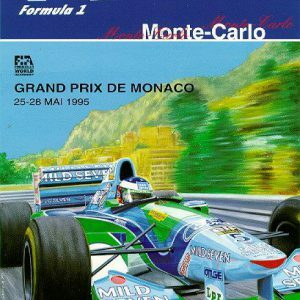 This book is in very good overall condition – the covers are good but with some corner wear, and the interior is excellent. 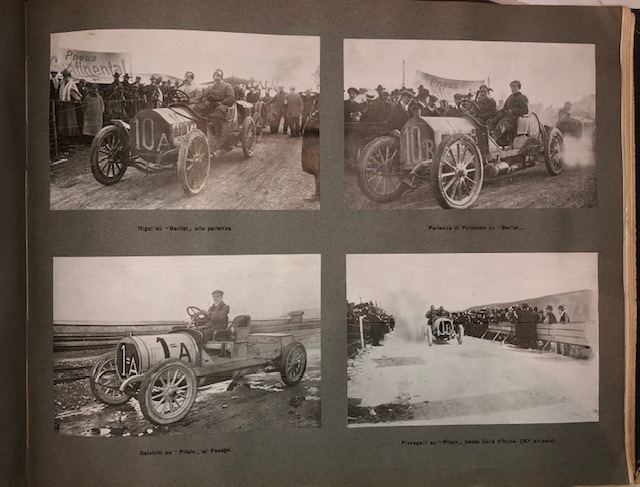 Please email for detailed photos of this exquisite set of original books which are probably among the rarest motoring annuals ever published. 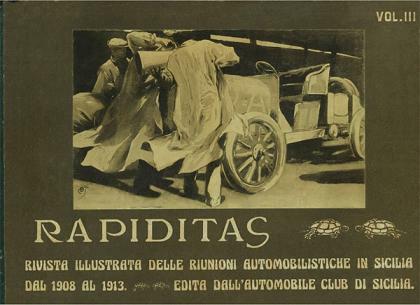 They have lovely embellished artwork inside, onion skin separation pages and tipped-in photos. 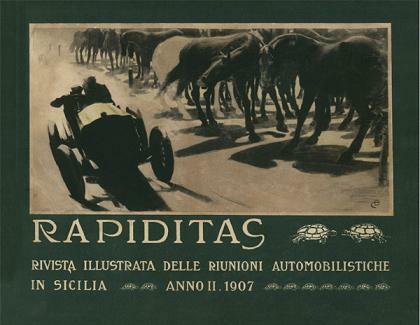 They really are true works of art and among the most precious motoring volumes available..